Before coaching college softball, I was a travel and high school softball coach for over nine years. My team went to showcases, I reached out to colleges, I helped my players with their videos and still it wasn’t enough. I remember the first time one of my parents asked me if they should sign up for a recruiting service, and I immediately felt offended. All the hours I spent with the family—and, more specifically, with that athlete—I wanted to be the one who got them a scholarship. I wanted to be the recruiting hero. Later, I realized my intentions were not heroic at all; they were naïve. My skepticism and pride was having a negative effect on their recruiting and I had no idea. When I started coaching college softball, I realized very quickly how overwhelming and time-consuming the process of recruiting can be for college coaches. 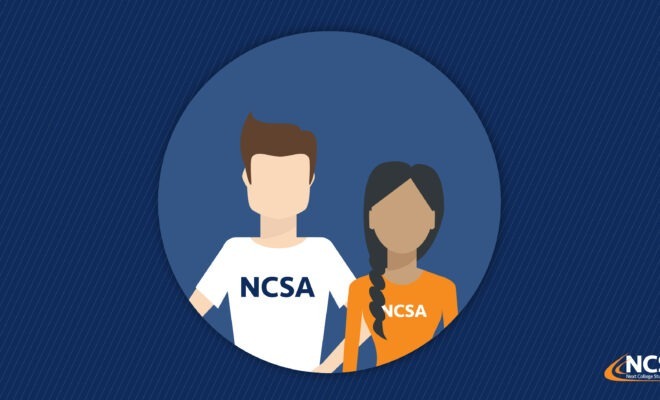 Immediately, I turned to NCSA Next College Student Athlete to help fulfill my recruiting needs. It helped me identify quality athletes without breaking my program’s budget or having to take even more time away from my family. I could find a kid that fit exactly what I was looking for, both in and outside of my school’s region. After I came to this realization, I thought of all the athletes that came through my door when I was a travel and high school coach and how far they could have gone if I would have encouraged the family to collaborate with NCSA. There is no way for a coach to guarantee the best offer, highest level or right fit to their athletes all on their own. It’s not about choosing a side; there are no sides. It’s about ensuring your time and efforts are being invested into the right areas. Put yourself in a position where you never have to look back and wonder “what if.” Begin the steps to ensure your name is on a clipboard this season, and you’re not just another body on a field. Oftentimes, coaches do not have the time or resources to give their entire team the full recruiting support they need to succeed in this process. In many cases, your coach has a family, another job and countless responsibilities outside of their role as your coach. Think of them like another person who’s in your corner for support. However, this is your future and you have to drive this beast yourself. Showcases are a great way to get in front of college coaches and face tough competition. However, the reality is, coaches come to those events to see athletes they have already identified. Don’t be one of 75—be the one they are there to see by proactively reaching out to those coaches before those showcases. Leverage is everything, and coaches want athletes who are wanted by other coaches. Put yourself in a position to create as much interest for yourself as possible. The later you start this process and fewer colleges you reach out to, the less likely you are to get the maximum scholarship possible for you.